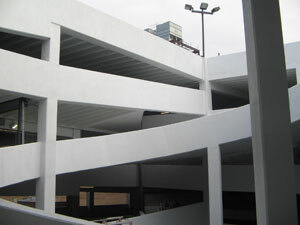 Are you looking for concrete services in Baltimore, Maryland, Washington D.C. or Northern Virginia? Concrete Restoration Services, Inc. has been the premier commercial concrete contractors for the Mid Atlantic region since 1981. Whether you need to protect and maintain a new structure, prevent building deterioration, or address a water penetration problem, Concrete Restoration will analyze, repair, clean, and maintain your concrete structures. Working with our experts in the fields of building restoration, rehabilitation and maintenance, will give you peace of mind and assurance that your property is being cared for properly. Keep reading to view our list of available services. If you have any questions or would like to speak with a representative for a free cost estimate, you can contact us at (301) 261-4933. Or if you’d prefer, you can click here to contact us online. Concrete Restoration is an industrial and commercial full service flooring contractor specializing in both the installation of new flooring and the restoration and maintenance of existing flooring systems. If you’re ready to get started, call Concrete Restoration at (301) 261-4933 to begin with your free, no-obligation cost estimate. Or click here to contact us online. Do you need help with a concrete service not listed above? Give us a call, and we’ll see how we can help. If we can’t, we’ll help you find someone who can. Concrete Restoration has been a leader in commercial and industrial concrete construction, and structural solutions since 1981. 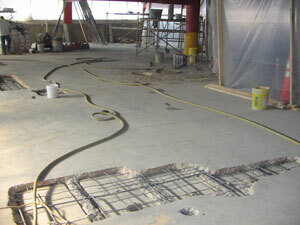 Don’t let putting off your next concrete restoration project lead to more damage and larger costs. 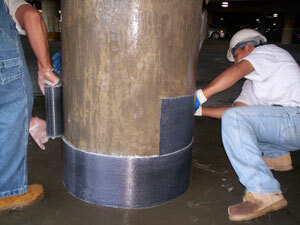 Call Concrete Restoration today and have the peace of mind that your structure is sound! We look forward to hearing from you! Please fill out this form and we'll get in touch with you shortly.